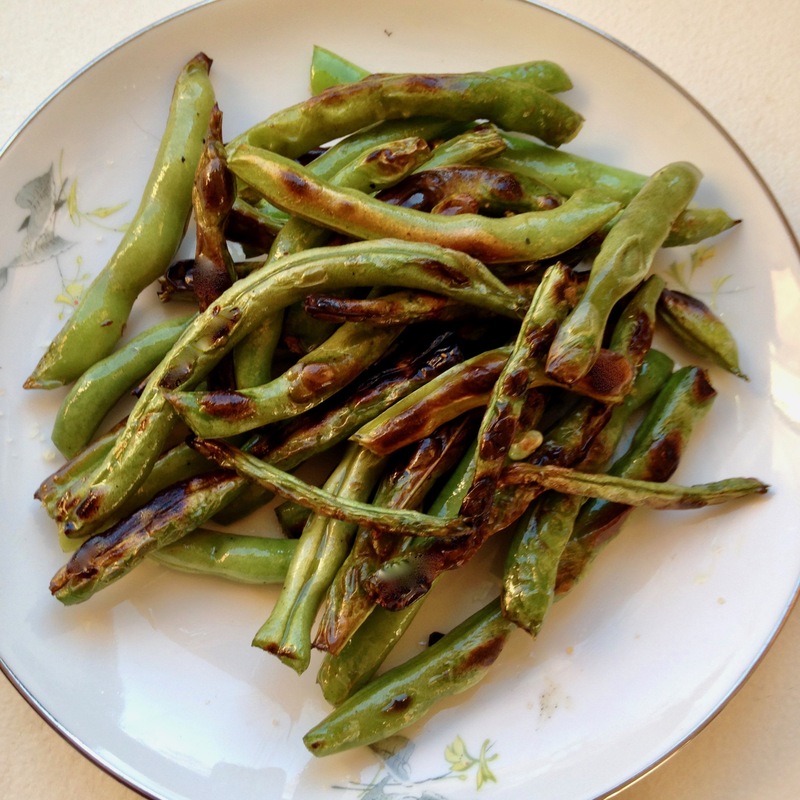 Turn green beans into a robust side or a finger-licking-good snack using this quick and easy cooking method. Almost any variety of green bean — or “string bean” as they used to be called — will work here, although we recommend avoiding meaty Roma types, which won’t brown and caramelize as well as thinner varieties of green beans. But green, purple, yellow, mottled, or thinner French beans will all end up a family favorite with some high heat and simple seasoning. 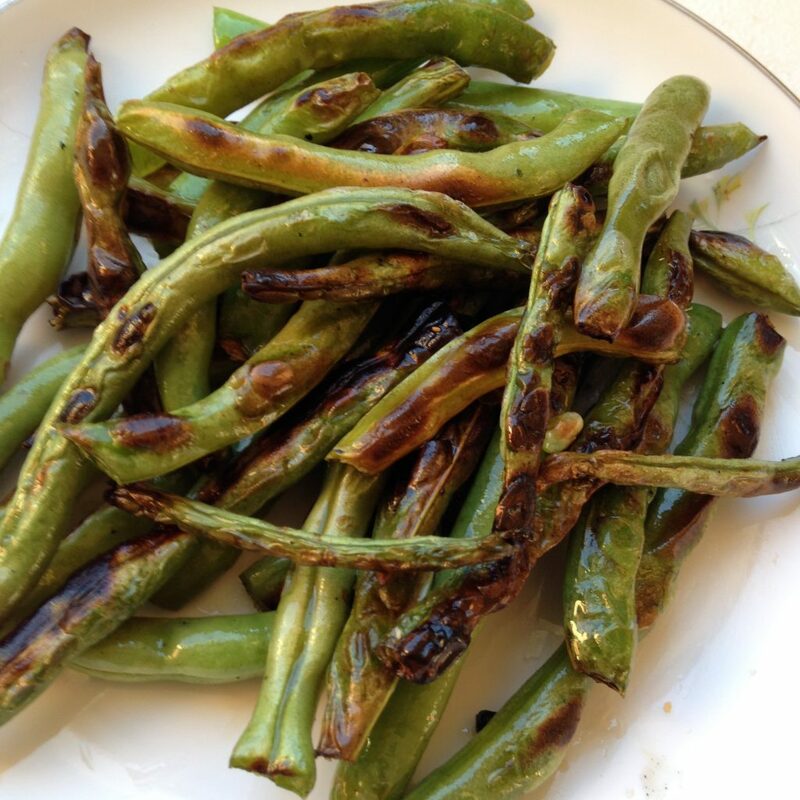 We like to eat scorched green beans as a delicious snack, using just our fingers to eat them! Wash the green beans and pat dry to avoid splatters when you add them to the pan. You can trim the ends if you wish, but this is optional (but make sure the stems are removed, if present). Heat the pan (cast iron works best) over medium high heat. When the pan is hot, add the oil and turn the heat down if necessary, so the oil is just below its smoke point. Add the beans to the pan and use a spatula to turn the beans often while cooking. If you leave them in one spot for too long at a higher heat, they will burn instead of caramelize. When the beans are nicely scorched without being burned, turn the heat down to low. Add to the pan salt, pepper, and other seasonings you might enjoy, like garlic or chili powder. Cook the beans until they are fork-tender. Transfer the beans to a plate and enjoy!